Dr Laura Langner has been awarded the Future Research Leaders grant from the UK’s Economic and Social Research Council (ESRC) in January 2016 to work as a Principal Investigator on the project ‘What Makes Dual Career Couples Work?’. Further details can be found here. Her second daughter was born in 2018. She is currently on maternity leave until August 2019. Her first daughter was born in 2016. Both daughters have since vividly inspired her research on how parents’ careers evolve jointly over time and what may or may not make them work. Dr Laura Langner explores how the different types of careers couples pursue may be related to either partner’s characteristics (e.g. education) and cross-country differences in attitudinal and policy support. For the analysis of couples’ careers, she develops own and advances other researchers’ longitudinal models. Prior to that, from August to December 2015, Dr Laura Langner has been working as a Postdoctoral Researcher in Life Course and Family Dynamics at the Department of Sociology, University of Oxford. From April to July 2015 she was working as a Researcher in Work and Life History Data at the Centre for Time Use Research, Department of Sociology, University of Oxford. 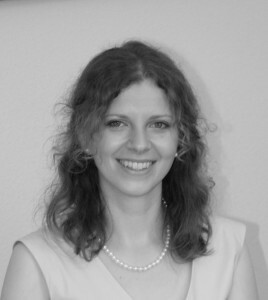 Dr Laura Langner obtained her doctorate at the Department of Sociology, University of Oxford (examiners: Prof. Karl Ulrich Mayer & Prof. Melinda Mills) in July 2015.